Have you been using Social Science materials at the British Library for postgraduate or academic research? 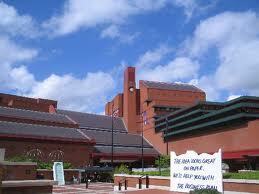 If so, the British Library would like to hear from you. As part of an ongoing collaborative partnership with the Economic and Social Research Council (ESRC), the British Library is creating a website that showcases the best of their collections. Within this project there is an opportunity for researchers of all career-stages to contribute a short piece detailing your work, and how it has been informed and enhanced by the materials and resources of the Social Sciences.If you are interested in doing this, please write to tom.hulme@bl.uk. This entry was posted in Research Support and tagged BL, British Library, ESRC, feedback, social sciences. Bookmark the permalink.